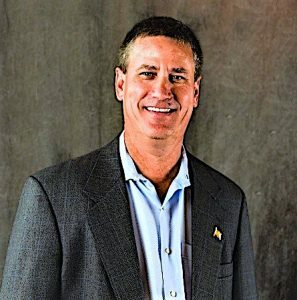 NASHVILLE, Tenn. — Hankook Tire America Corp. has announced that tire industry veteran Rob Williams has joined the company as senior director of TBR sales. He will oversee all truck and bus radial tire sales at the company. Hankook Tire America appointed tire industry veteran Rob Williams as senior director of Truck and Bus Radial (TBR) sales. Representing Hankook Tire’s commitment to dealers and fleet customers, Williams will play in an integral part in growing product lines and securing new partnerships. Bringing with him more than three decades of tire industry experience, Williams has a proven track record of success in operations leadership, strategic planning and optimizing profitability. He previously held senior executive positions at TCI Tire Center and AAA Carolinas, where he partnered with Hankook. 2018 marked a strong year for Hankook Tire’s Truck and Bus Radial portfolio, driven by key dealer partnership growth and Hankook now serving numerous fleets throughout the U.S. The success in this category can be attributed to Hankook’s National Account Sales program, which provides products and related services to fleet-specific customers. Building on the foundation established last year, the TBR team at Hankook will launch three products for 2019, in addition to tools to enhance the sales team’s efficiency.